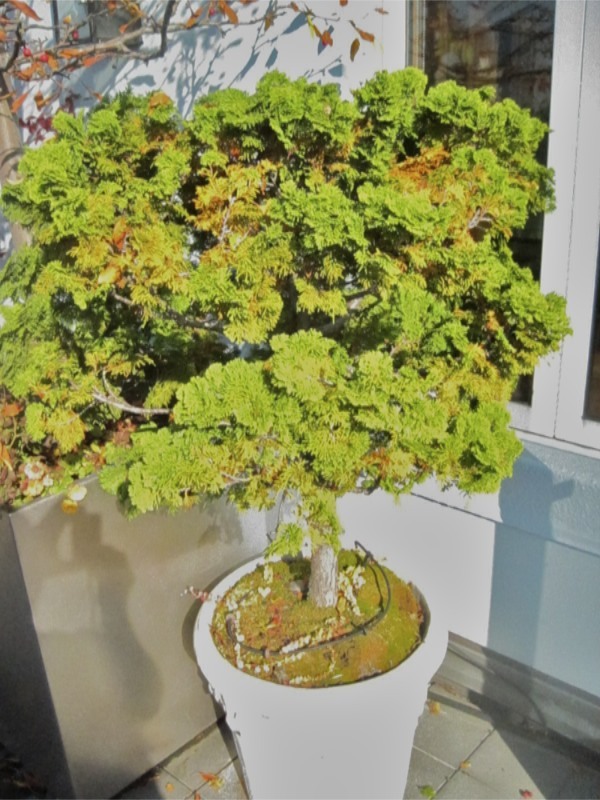 Instead, take a deep breath, put on a long sleeved shirt, a pair of gloves, and get ready to dive into your mugo pine, topiary chamaecyparis, or arborvitae. I'm going to let you in on a little secret: just because they're called evergreens doesn't mean ALL their leaves stay EVERgreen. 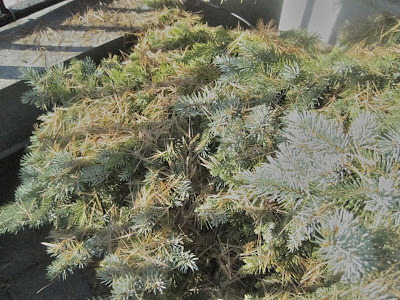 It's normal for evergreens to lose about 1/3 of their leaves every year, and most of the browning and shedding happens in the fall. Clients who don't expect this tend to panic, and react with cries of "My _____ is dying!" It just needs a seasonal cleanup. Which requires no fancy tools and just the smallest amount of specialized knowledge. Ready? Once you've reached both hands inside the evergreen, move them around lightly and quickly in a rubbing/fluffing motion. 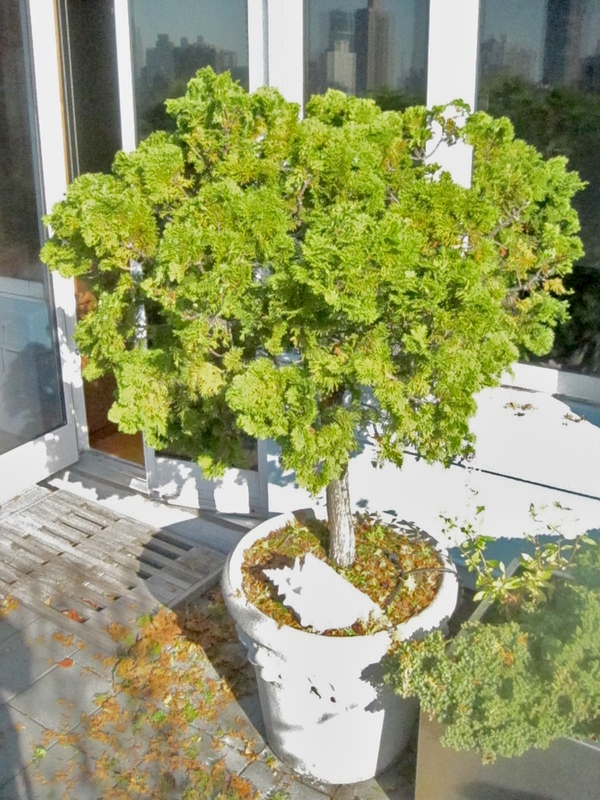 Work from the top down and the inside out, moving around the entire shrub or tree. 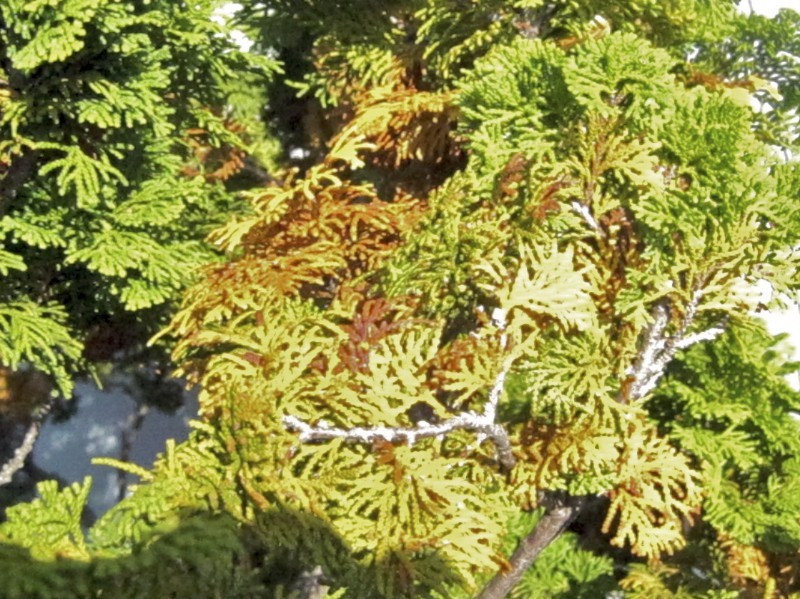 Occasionally you'll run into some stubborn brown needles, reluctant to give up their position on a branch. 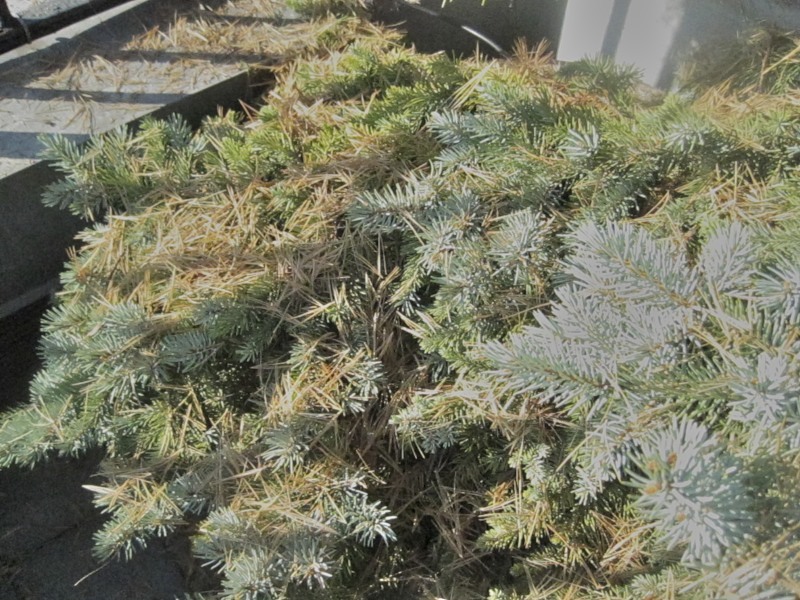 A quick snip of the pruners shows the recalcitrant evergreen who's in charge. A little trim and the restoration of youthful color...it's a hair appointment for your shrubbery. Excellent post! I just shared with one of my garden clients who also was indeed panicked by the brown on her HUGE, gorgeous blue chinese fir. I had explained it was no problem and it was not dying. Just molting :) Thank you.